I was once part of a discussion about how many persons with a disability reside in India. One would think that we would have a reasonably fair idea, but we do not seem to. At least, not everyone agrees on the number. In our country, estimates about numbers of persons with a disability vary from the most recent census number of 26.8 million to around 100 million. That got me thinking: either we do not know how to count or there is something more sinister going on. Further discussions, this time mostly with persons who had some functional limitation, unearthed two camps that brought to fore the importance of the disability label. People either revered or espoused the disability label or they feared and shied away from it. The former camp believed in the power of the label as it gave disability-specific benefits while the latter feared its stigmatizing consequences. The former proclaimed its emancipatory potential as groups could avail schemes that fetch access to education and jobs while the latter did not want to be tokens based on some ascribed identity and some negative image it seemed to conjure. As you can imagine, the former wanted to be part of the country’s disability count, the latter did not. So there is something else going on, and while ‘sinister’ may be a bit off, it is certainly something to explore more. What I have discovered over years of meeting persons with a disability, reading about this collective, and several discussions with diverse stakeholders, is this: Labels are nebulous linguistic aids that initiate a limiting categorization process and thereby color our understanding and our policy making. In this brief article, I hope to highlight the dangers of utilizing vaguely understood and/or inconsistently applied labels when it comes to policy making. 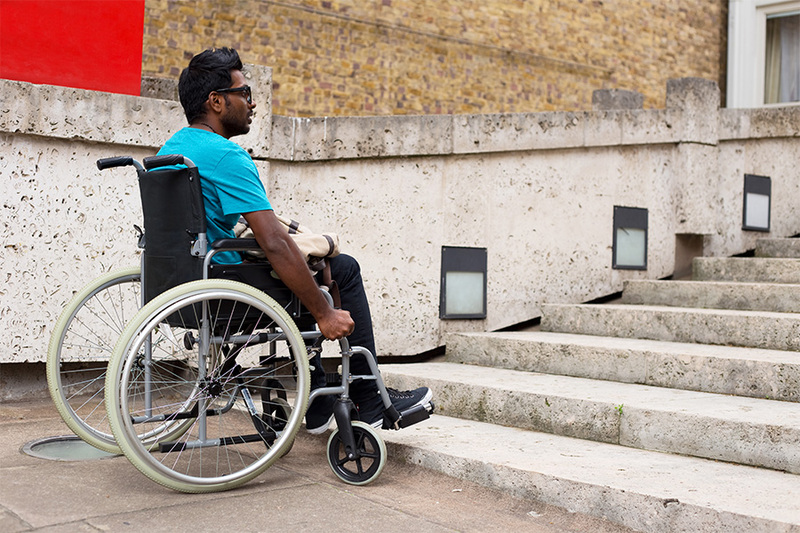 What image comes to your mind when you hear the word disability or disabled? Is it some psychological condition? Someone who uses crutches to walk? Someone who is blind or deaf? Disability, as an umbrella label, hides not only many disabling conditions but also does no justice to parceling of disability as a psychological state, a biological condition, an outcome, and an antecedent. This indistinctness paves way for politics of labeling. Whose labels prevail and which images they conjure may depend on whose voice is most dominant at a particular point; in a particular context. No small matter when labels determine epistemological constitution of ‘facts,’ forms of inquiry, and consequent governmental policy making or managerial counsel and actions. Speaking about disability-specific facts, I am reminded of a 2009 article by Grönvik. Based on the analysis of databases in Sweden, this research showed how different definitions create different calculations of disability prevalence and thereby different realities. Three different definitions – commonly used by various stakeholders such as researchers, producers of statistics, and authorities that control disability benefit programs - were considered: functional limitation definition (medical view; e.g., blindness), administrative definition (e.g., definitions for state welfare support), and a subjective definition of disability (e.g., does one see oneself as a person with a disability). Results painted interesting ‘facts’: Males were overrepresented in the functional and administrative definitions, while the reverse was true for the subjective definition. People categorized as having a disability according to the administrative definitions were single and younger than those categorized by the other two definitions. Those categorized as having a disability according to the functional limitation definition were more likely to be participating in the labor force than those defined by the administrative definition. And so on. You get the point. Such ‘facts’ have implications for who is counted under the disability label, the image we have of the so counted, and the schemes designed for the collective. We do not have differing datasets to conduct a study similar to the one above. However, as we steadily move towards increased societal and economic participation of all our citizens through both refined census data and governmental and organizational policy making, we need to especially heed how we label groups and craft images about those groups – all of which have far reaching implications. Some of my work that has spanned a decade shows that although the human rights discourse is indeed gaining prominence, the ascribed label of the person with a disability as a welfare recipient has been rather sticky in our country, with related positive and negative implications. As an example, I am reminded of a 2003 Times of India article which showcased the employment implications of this sticky welfare recipient label. This article noted how a certain employer had recruited visually impaired persons as watchmen and had further called for applications from the visually impaired groups for posts of animal care takers, cooks, and laboratory attenders – because the employer wanted to implement some form of some welfare scheme. The welfare recipient label had implied a needy person image whose talent and aspirations were shoved aside when policies pertinent to recruitment were crafted. Next time you encounter a label – whether an individual thus labeled accepts or rejects the label – take a step back and think: what is that label priming me to think? How is it influencing how I see someone and act towards him? If you are a policy maker in an organization, what inclusion policy do you think you want to craft for the so-labeled? - Mukta Kulkarni is a faculty in the Organizational Behavior and Human Resource Management (OBHRM) area at IIM Bangalore. She is the Mphasis Chair for Digital Accessibility and Inclusion at IIMB.